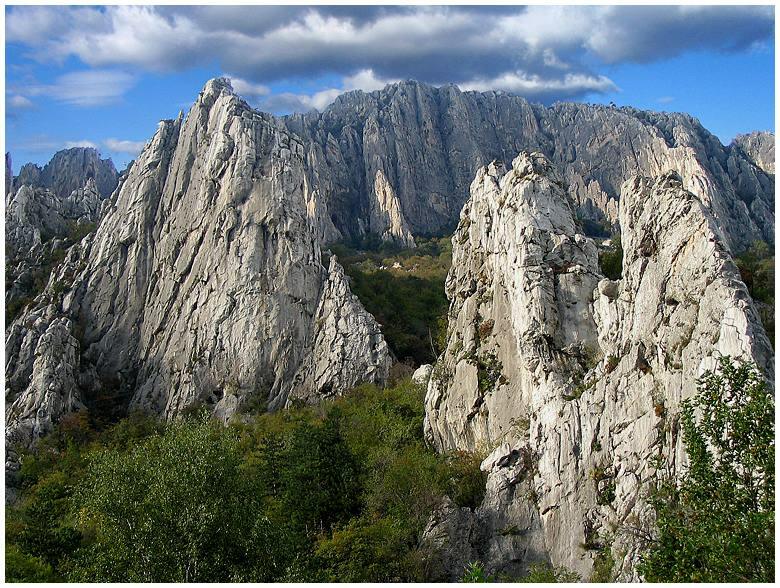 Explore the best of Vratsa Karst Nature Park in one day. Walk the Borov Kamak eco-trail and dip into the secrets of Ledenika Cave and its beautiful formations. An early transfer will take you to Zgorigrad village passing by the rock phenomenon Vratsata and further to the beginning of the beautiful and thrilling eco-trail of Borov Kamak waterfall (50m high). Climb up on wooden ladders and steps in the pristine valley full of small waterfalls and cascades, enjoy a picnic lunch at the top and descend on a nice beech forest path with great panoramic views to Zgorigrad village and Vratsa Mountains. On the way up to the waterfall you will cross the river on wooden bridges just above the rapids, climb up rocky steep sections on massive wooden ladders and enjoy great views of Borov kamak waterfall from below and then on top of it. After the hike you will be transferred to the sinister cave Ledenika where mother nature has made a masterpiece of an enchanting underground world. It is 320m long and its name comes from the icy stalagmites formed at the entrance in winter time and early spring. With its stunning cave formations Ledenika is one of the most beautiful show caves in Bulgaria and a habitat of the endemic beetle Fagomycetes ledenicus or “the light hater”.